Police are currently looking for wanted man Joshua Geyer (pictured above). 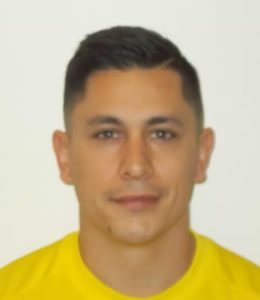 Geyer is wanted on a Canada-wide warrant for being unlawfully at large after failing to abide with parole conditions. Joshua Geyer is described as a 33-year-old Caucasian man, standing five feet, seven inches tall with a muscular build. He has brown hair and brown eyes. If you have information on where he may be, please call the Victoria Police non-emergency line at (250) 995-7654. To report what you know anonymously, please call Greater Victoria Crime Stoppers at 1 (800) 222-8477. If you see him, do not approach him and call 911. The Sooke RCMP can always be reached at 250-642-5241.